The book, Healing Stories for Challenging Behaviour by Susan Perrow asks the question, “Could truths contained in the rich realm of story reach children more directly, and in a way more in tune with their innate imaginative capacities?” I can firmly say, “Yes!” – and sometimes itś from the least likely story and character! I do not fully understand how such a beautiful sweet little girl can struggle with such strong feelings of anxiety and insecurity. Rose has been adored and uplifted her entire life – by countless friends and family members who love her – she often complains that “no one loves her.” These feeling of being unlovable are exaggerated when those closest to her pay attention to anyone but her. I was singing praise and worship songs as I drove through traffic. Rose began screaming and crying uncontrollably. I finally got her to calm down enough to tell me what was wrong – “You love Jesus more than me!” she stated through her tears. I am at a loss. I have no idea how to deal with this issue. I cannot reassure Rose of my love enough. I cannot stop loving others, complimenting others, or singing praises to God because of her insecurities. I’ve been praying about how to deal with this egocentric need for love and affirmation. 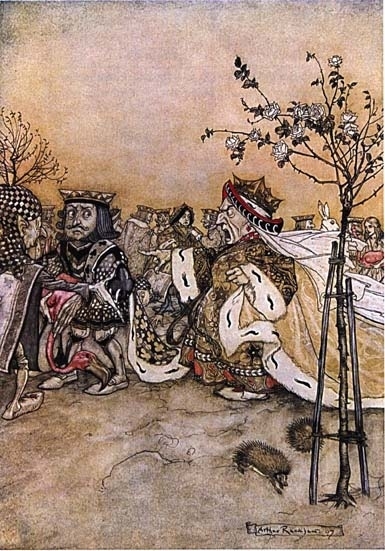 Enter -stage left – Snow White’s stepmother – the Evil Queen. I had expected Rose to relate to Snow White – beautiful, kindhearted, helpful – because that is how I see her. Instead, she was confronted with the self she struggles with. Since the first step in changing is realizing and admitting you have a problem – I see her self-reflection as a huge breakthrough. Tomorrow, I’ll pray where to go from here, but today – I am thanking God for the Evil Queen. My older kids HATE the Herbert the Snail song which I would sing to them when they were impatient – “Have Patience. Have Patience. Don’t be in such a hurry …” Now I’m singing it to myself. After reading and watching Helle Heckmann’s work, “Chidhood’s Garden” I was convicted to slow down my life, I just didn’t realize how frustrating it would be. I’m thinking ten, fifteen minutes max – think again. 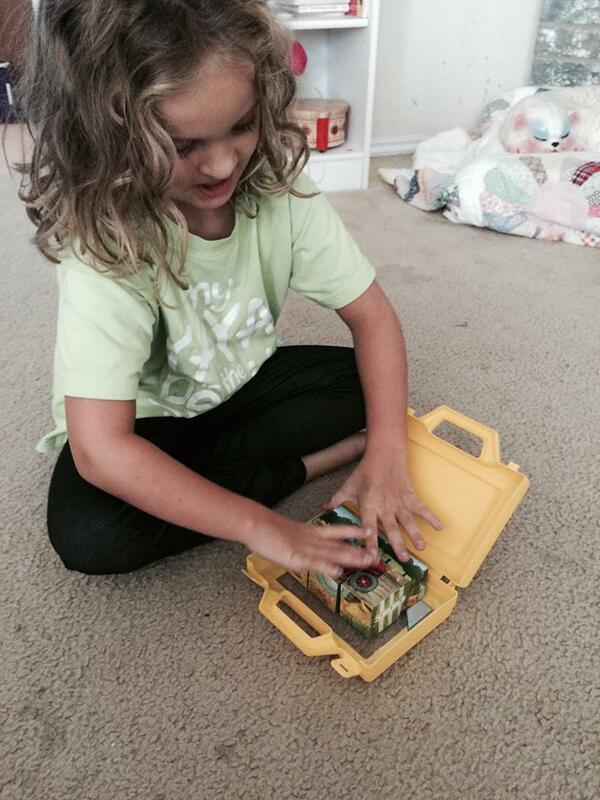 She has to put the puzzle together inside the case. 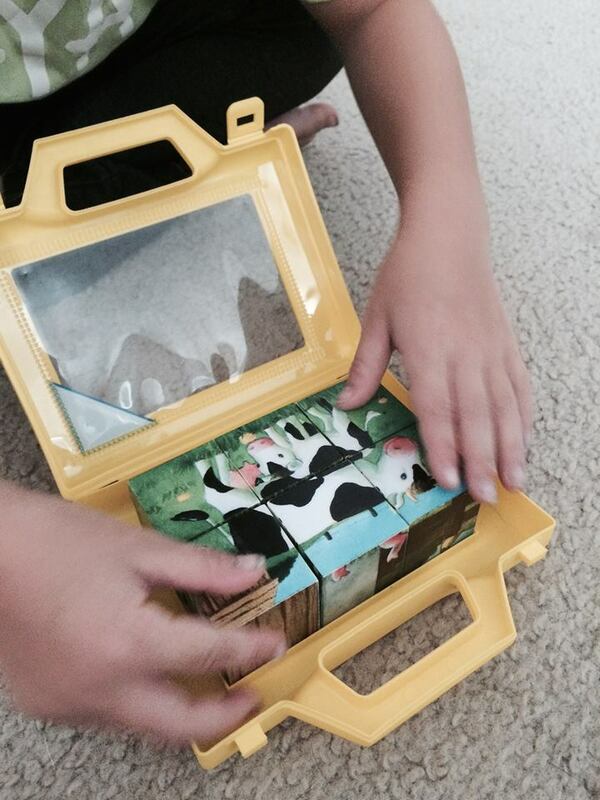 She has done the puzzle – cow picture up – on the window of the case, so when she shuts the case and looks through the window the tractor picture and not the cow picture is showing through the window. Therefore, she must redo the puzzle. She thinks it through and realizes she must put together the puzzle on the opposite side of the case – away from the window. 10 minutes later (between the thinking and redoing the puzzle) .. she’s done. Or not … When she closes the case, holds it by it’s handle, and looks through the window. Sure enough, the cow picture is showing … but it is upside-down! She opens the case and dumps it. She sits and stares at it. 10 minutes later, she asks how to do it – No kidding she stared at it for almost 10 minutes without saying a word! I take a deep breath and tell her – when really I wanted to throw the puzzle pieces into the toy box abyss. 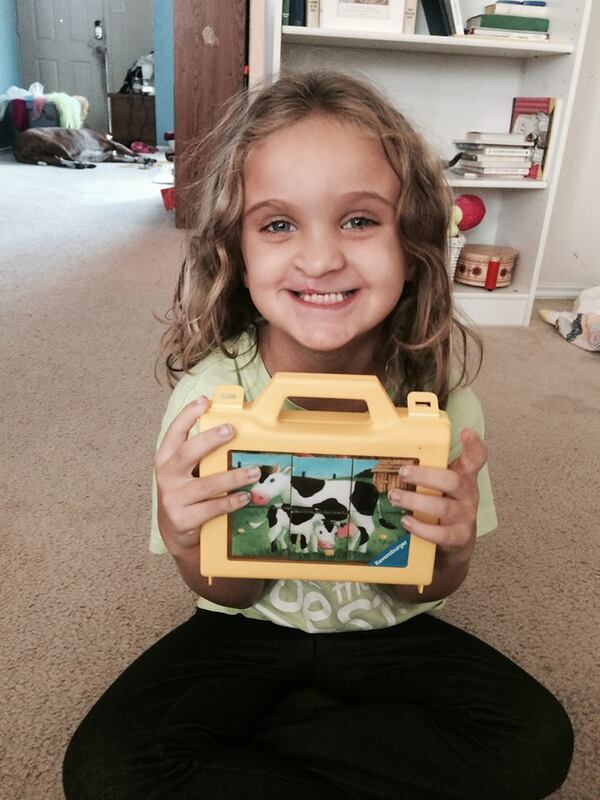 She proudly completes the puzzle so that the cow picture is correctly seen through the case window. Now time to get dressed. 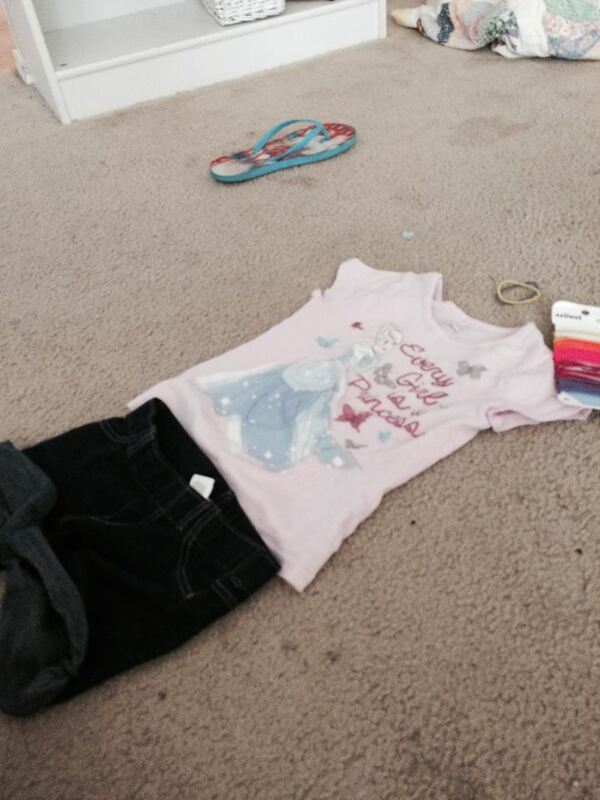 She picks her clothes and lays them out to look at them (is this normal?). She decides she wants two pig-tails, so grabs the pack of rubber bands. 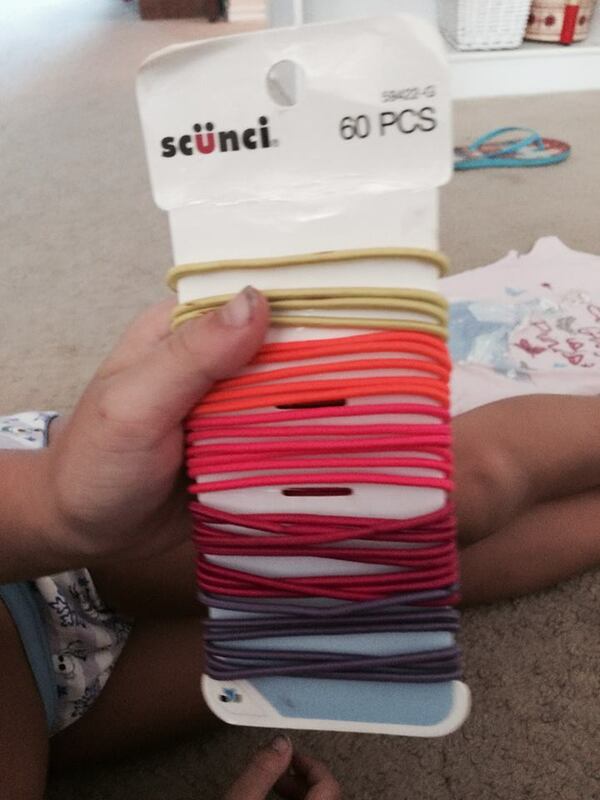 Unfortunately there are five colors left on the scrunci pack. She methodically takes two rubber yellow rubber bands off the pack and lays it on top of her shirt and stands back and looks a while. She places the yellow bands back on the cardboard holder, and takes two orange off, lays them on her shirt, stands back, contemplates. Returns the orange and slides the pink off – does the same. Exchanges pink for red – same old, same old. Puts red back and tries out purple. She finally decides on one yellow and one purple. This whole process took 20 minutes of my life! I have to admit I sat and watched and was somehow mesmerized by the entire process. If you’ve been figuring … that’s 45 minutes to put one puzzle away and get dressed before we can head to the park. Is the boy who squirt the water blaster any more of a bully than the one who labeled him as such? Are we teaching prejudice when we label children as bullies? As Christians, how do we handle the issue of bullying with our own kids? I know I am tackling an issue with lots of emotions tied to it. I myself have many emotions attached to the word. I’m not an expert in “bullying” – I am just a mother who has lived through and is living through a generation obsessed with the concept of bullying. I know what it feels like to be the mother of a bullied child. Remember “My Space”- the social networking site prior to facebook? My junior high daughter had a “My Space” page entitled “I hate Emily.” The cowardly, unidentified author of the site proceeded to rip apart my daughter and write everything negative that he thought about her on the open internet forum. She cried. I cried. I was angry. The only redeeming thing about the experience was that she had so many friends defend her and write sweet things about her on the site. Her friends stood up for her, and eventually the angry cyber bullying stopped because his comments fell on deaf ears. I wanted desperately to protect my daughter – but there was little I could do. I know what it feels like to be the mother of a “bully.” I say this very loosely – because I really don’t believe my child is a bully, in fact I think it is impossible for a three-year old to be a bully- but she has been labeled as one. You see, my daughter has disabilities which include “behavioral issues.” I hate the term because it always makes me think that normal discipline could fix these issues – I also think people have much great sympathy for those with physical disabilities than with kids who have “behavioral issues.” But, back to the bullying situation. My daughter can be overly aggressive without knowing it. She also deals with melt-downs in which she hurts herself, things, and others in her uncontrollable anger. The hurting others has cost me relationships – there are friends I have who will not bring their children around mine because they are afraid my child with hurt theirs. I rarely leave my daughter – there are only a handful of places or adults I trust with her. But everywhereI have ever dropped her off – at church, or nursery situation – I have seen a toddler run and hide and say, “don’t let her hurt me.” I have witnessed child care workers talking with each other, and parents talking to each other and I have heard them say my daughter is a “bully.” I am sad for these other kids –I don’t want them to be hurt, and I want them to be hurt at the hands of my child even less. I want desperately to protect my daughter from being labeled a “bully” – but I don’t always know what to do. I can tell you from experience that parenting a child labeled a bully is just as painful and heart-wrenching as parenting a child who is bullied. Researching this topic has been eye-opening. Statistics show that 1 in 4 children claim to have been bullied, and 1 in 5 admits to having bullied. Sometimes the same child experiences both sides. So how should we as Christian parents address the issue? 1) Teach Children to be self-confident. All children will be called names on the playground or be roughed up a little. If a child is self-confident, he can deal with the everyday stuff. You, or another adult, won’t need to step in unless the situation is ongoing or excessive. How do you teach self-confidence? Tell them how much you love them, how they are special, and how blessed you are to have them. Encourage them to try new things, and get them involved in things they love and things they are good at – but don’t pressure them to be the best or perfect. Surprisingly, I have seen my 16 year old son “bullied.” But when asked, he states he has never been bullied. I believe it is because he feels good about himself, believes the best in others, and forgives easily, so he is able to let hurtful words slide off of him easily. 2) Teach children to be kind. Have your home be a positive place where children can be themselves and kind words are spoken. I attended my dad’s 30th high school class reunion. My dad was a sports star, so when one of his classmates ask me, “Do you know what I remember most about your dad?” I assumed he’d tell me the story of an amazing touch down. Instead he said, “I can’t remember your dad ever saying anything negative about anyone.” Wow. 30 years after graduation –that is what is remembered! I want my kids to learn this lesson and be remembered for the same. 3) Teach your children to love people. Matthew 25:40 “The King will reply, ‘Truly I tell you, whatever you did for one of the least of these brothers and sisters of mine, you did for me. Teach your kids to love those who are bullies – kids bully for many different reasons – but most have deep hurts, dysfunctional families, suffer from low self-esteem or simply do not have social skills. When Emylee was in swimming, a boy came into her club. No one liked him, but Emylee was kind. One day the boy lost it – he matched into the pool area – said hello to Emylee and went into the locker rooms where he took out a BB gun and shot some of the boys. He was sent to a detention center and when asked, he said he did not shoot Emylee because she is the only one at swim who had ever been nice to him. Be kind with your words – it’s easy to be kind those you love , but are you kind to the lady in the checkout line who is price checking every item, while you wait with your 3 toddler screaming in the cart? Love others – how do your kids see you reacting to those who are unkind to you? Bullying is a tough issue. It is not a new one, but has become a social buzz word. Let’s not buzz ourselves and label children as bullies. Bad behavior must be dealt with – but labels can harm someone for a lifetime. Let’s raise confident Christian kids who can positively impact both the bullies and those being bullied.